Each update requires a date for identification and sorting purposes. This date does not control when the date becomes visible to learners. 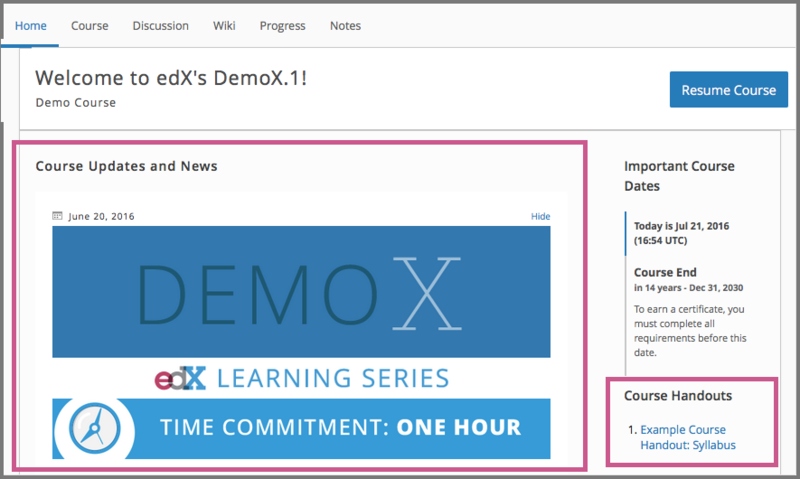 In the LMS, updates display on the Home page in reverse chronological order (most recent at the top), based on the date associated with each update. To make sure that your announcements are accessible, if you use headings inside an announcement, make sure that you use only level 6 headings (<h6>). The structure of the course Home page uses heading levels 1-5. Specify a date for this update. By default, today’s date is already entered. You can change the date using the calendar tool, or by entering some other valid date. This date is used only for identification and sorting purposes. This date does not control when the date becomes visible to learners.